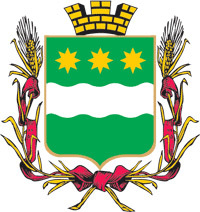 The capital city of Amur oblast. Blagoveshchensk is a city in Russia, the capital of the Amur region, the fifth largest city in the Far East, located 7,985 kilometers east of Moscow. The city stands on the left bank of the Amur River, on the border with China. 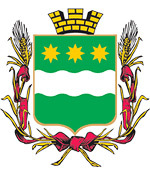 The population of Blagoveshchensk is about 224,000 (2015), the area - 321 sq. km. The phone code - +7 4162, the postal codes - 675000-675029. Local time in Blagoveschensk city is April 21, 4:01 am (+9 UTC). 14 February, 2017 / Blagoveshchensk - the view from above. In 1644, the first Russian settlers moved to the area and founded their settlement. Russian military outpost was founded later in 1856. The town received its name “Blagoveshchensk” after the parish church of Annunciation (Blagoveshcheniye in Russian). By the end of the 19th century, the town was a large river port and industrial center. Also, it was growing fast because of gold rush. 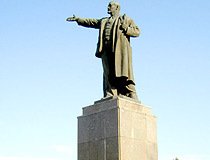 Blagoveshchensk had favorable position, situated on the Chinese-Russian border (about hundreds of meters opposite the city of Heihe). In 1900, numerous Chinese insurgents shelled Blagoveshchensk as a result of the Boxer Rebellion. 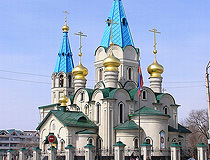 The Orthodox tradition says that the town was saved by the icon of Our Lady of Albazin. In response, Russian police forces aided by Cossacks drove away Chinese ethnic community from the Russian bank of the Amur River to the Chinese bank. Thousands of civilians drowned in the Amur River or were shot. Until the end of the 1980s, the entrance to Blagoveshchensk for people from other regions of the USSR was limited, foreigners could not visit it at all. Blagoveshchensk was built by the type of Roman military camp: wide, straight streets are parallel and perpendicular to each other. Some streets began from the Amur River, others - from the Zeya River. Such a layout of the city continues to this day. Today, it stretches for 8 km along the Amur River, and 13 km along the Zeya River. 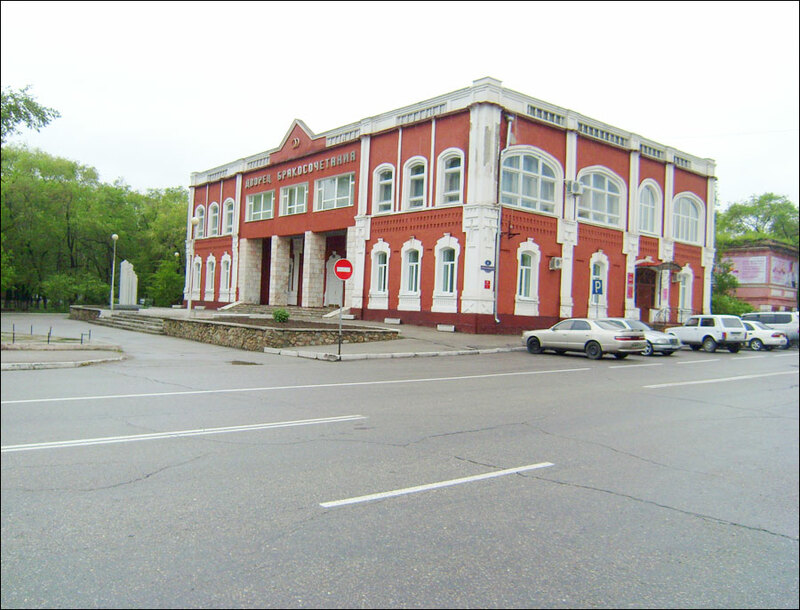 Blagoveshchensk is one of the oldest merchant cities of the Russian Far East. Today, it acts as an intermediary in trade and industrial links of Siberia and the Far East with China. 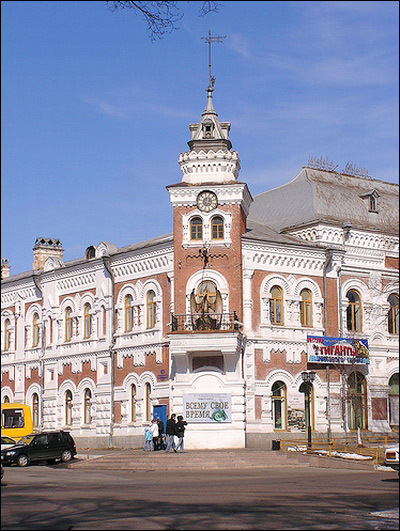 Blagoveshchensk is the only administrative center in Russia located on the state border. Blagoveshchensk and Heihe (China) are separated by the Amur River, the width of the river is about 800 meters here. The cities have a visa-free regime forming a free-trade zone. Local Chinese community is one of the largest in Russia. The community helps Chinese to legalize in Russia. Also, it builds a lot of new buildings for various purposes. 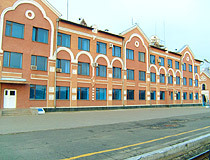 The suburb “Severny” offers low-price habitation for city newcomers. 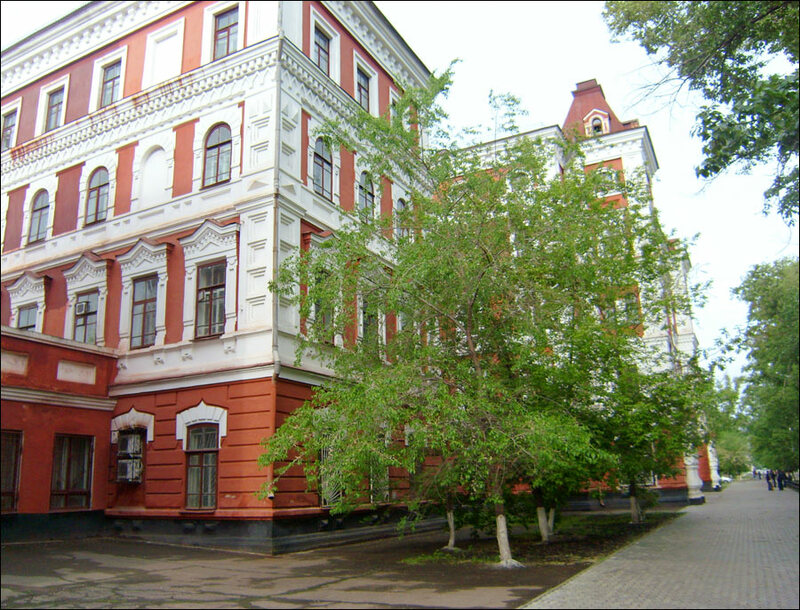 Blagoveshchensk State Pedagogical University and Amur State University are situated in the city. Much of the population of Blagoveshchensk today consists of descendants of peasant settlers. The city has a continental variant of a temperate monsoon climate. The average temperature in January is minus 21.5 degrees Celsius, in July - plus 21.8 degrees C.
Public transportation in Blagoveshchensk includes buses, trolleybuses, minibuses, and taxis. In addition, ships (buses in winter) carry passengers across the Amur. Since 2012, a pontoon bridge is built every year, operating in fall and spring, when there is no traffic on the Amur and no ice crossing between Russia and China. 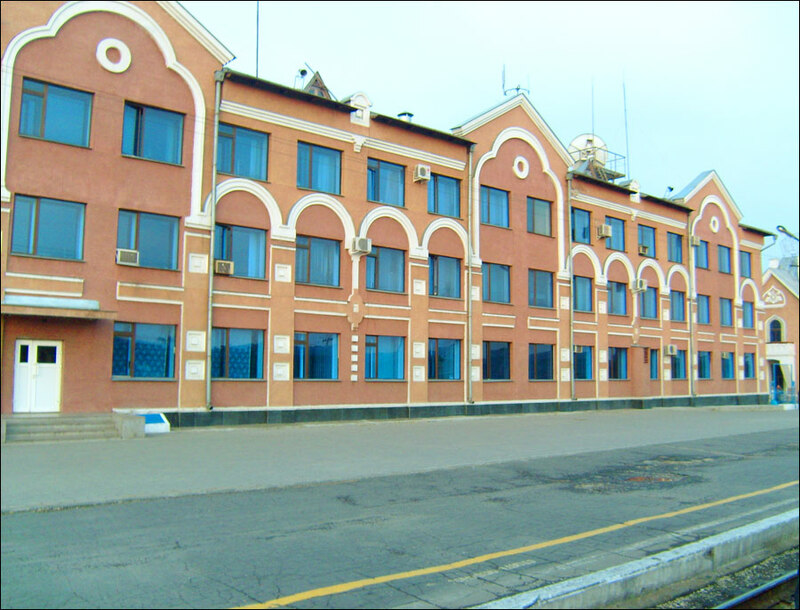 Ignatievo Airport is an international airport located 15 km north-west of Blagoveshchensk. It provides regular flights to the cities of East Siberia and the Far East of Russia and Moscow. Also, there are charter flights to China, Thailand, and Vietnam. 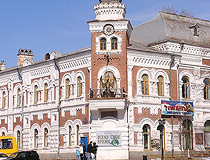 Blagoveshchensk has a rich historical and cultural heritage. The city has a drama theater, a puppet theater, two parks, six cinemas, a social and cultural center, four recreation areas with fountains. 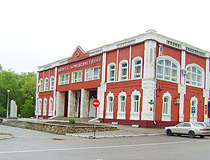 Amur Museum of Local Lore named after G.S. 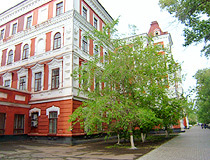 Novikov-Daursky (Lenin Street, 165), one of the main historical buildings in the city, is the oldest museum in the Far East. The museum has some unique exhibits: the costumes of Daurian and Evenk shamans, Ust-Nyukzhinsky meteorite, found in the beginning of the 20th century in Tynda district, bones of fossil animals. The city has more than 80 architectural and other monuments. Some original wooden buildings of the 19th century are preserved. 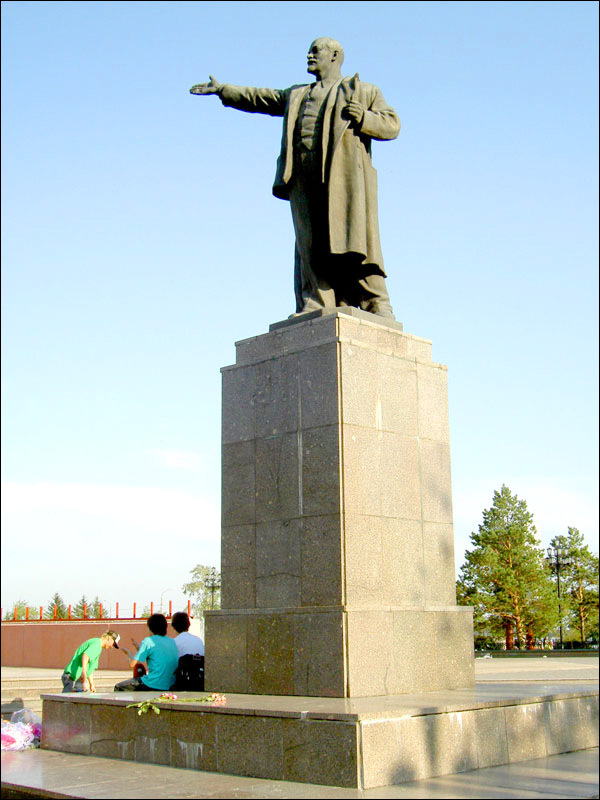 On the embankment of the Amur River, you can see a monument to the founder of Blagoveshchensk - the governor-general of Eastern Siberia Nikolay Muravyov-Amursky. 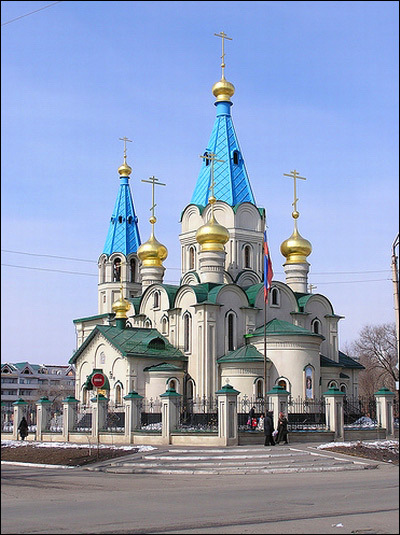 There are three Orthodox churches. Andrew asks: What is the driving distance from Blagoveshchensk to Chita? The driving distance is 1,604 km.